Romano-British culture is swept aside by foreign invaders. Some history books tell you that the Romans left Britain in 410 AD; full stop. But we must not think that the Romans packed their suitcases, hopped on the first convenient galley to Calais – and that was it, the next bunch of invaders, the Saxons, moved in. Though there must have been a finite moment when the last appointed official, or troop of soldiers, left – probably sometime in the early 5th century – Roman civilisation and influence in Britain declined gradually. Moreover, what remained was hardly a cultural backwater. In the space of almost four centuries, Roman civilisation had become the way of life for most of mainland Britain south of Hadrian’s Wall. It makes sense that this social order continued, at least for a while, and we know that it did, in places. However, there is also evidence of stone buildings falling into disrepair and only basic wood and thatch structures being built in their place. Actually, what happened to Britain next could be described as the most cataclysmic period in the island’s history. It was so cataclysmic that we don’t know terribly much about it – there are limited sources, and no contemporary ones. The events of the 5th and 6th centuries had a profound effect on Britain. Imagine an organised society, with towns, a judicial system, people happily taking stuff to market, craftsmen making mosaic floors, masons dressing stone for buildings and so on. Well, it completely disappeared; and what emerged was a rather different place where they even spoke a different language. The people that brought this about were the ancestors of the modern English. It appears that local rulers tried to buy the raiders off – which seems about as sensible as offering a bribe to the local mafia. Conventional legend has it that a Romano-British chieftain, or king (we don’t know which, but he is referred to as a superbus tyrannus by the 6th century monk, St Gildas), possibly called Vortigern, invited two Saxons blessed with the names Hengest and Horsa (stallion and horse) to serve as mercenaries to fight off Picts, Scots (Irish) and other Saxons. Allegedly, this all went pear-shaped when they fell out over payment. So the mercenaries turned on their former employers, more joined in and, eventually, what had started as pirate raids ended up as permanent settlement. The traditional view is that the Anglo-Saxon take-over (‘invasion’ somehow suggests coordinated action, which is doubtful, initially) was extremely violent, driving the surviving Romano-British westward into what is now Wales, Devon, Cornwall and Strathclyde – or out of these islands totally to Brittany (‘Little’, or ‘Lesser’, Britain). As more and more Saxons arrived, resistance stiffened. It is likely that resistance was led by local warlords, who had filled the power vacuum left by the Romans (in the same way as happens in modern times when a central power is removed). We know that some Iron Age hilltop forts were re-occupied at this time. One of the leaders of this resistance is a shadowy figure called Ambrosius Aurelianus who, if he existed, may have had Roman ancestry. Legend has it that there was a series of 12 battles, culminating in the mysterious and illusive Battle of Badon around 500 AD, which resulted in a period of peace for 40 years or so. 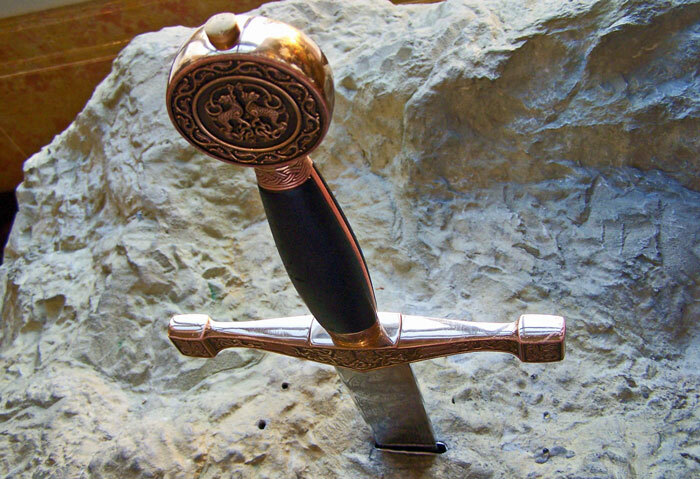 This is the period associated with the mythical figures of Uthur Pendragon, Merlin – as well as, of course, the legendary King Arthur and his probably non-existent knights of the round table. What we do know is that within a hundred or so years of the Romans leaving, Anglo-Saxon kingdoms had been established, and these people came to dominate all of what is now modern England – though Devon and Cornwall (known as West Wales or Dumnonia) were not conquered until much later. In the north west of modern England, in and around modern Cumbria, was the territory of Rheged; beyond that in what is now south west Scotland, lay the kingdom of the Strathclyde Welsh. Modern Wales was also Celtic-British territory – the name Wales comes from Anglo-Saxon Wealas (or variations of it), meaning ‘strangers’, or ‘foreigners’. It was divided into a number of separate kingdoms such as Dyfed, Powys, Gwynedd and Gwent. The Saxons never conquered Wales or Scotland, though the much later Anglian Kingdom of Northumbria did include what is now south-east Scotland to the Firth of Forth. So, apart from it being very inconvenient if you lived here, why was all of this so cataclysmic? The answer is that, though Britons survived in Saxon territory, particularly in more remote areas, Germanic culture totally replaced the more advanced Romano-British one. Notwithstanding the evident beauty of Saxon art and craftsmanship, civilisation essentially took a step backward. Celtic ceased to be the main spoken language and very few Celtic, or ‘British’, place names remain in England. One example is Pen-y-Ghent in Yorkshire; another is the river Avon – but this is tautology; ‘avon’ is Celtic for ‘river’. Many Romano-British people were Christian: the Anglo-Saxons were not. As far as we know, Christianity died out in England (though continued elsewhere) until gradually reintroduced from the late 6th century by St Columba from the north and St Augustine from the south. Even the Normans didn’t achieve the wholesale replacement of language and culture, though their impact on Britain was just as profound. 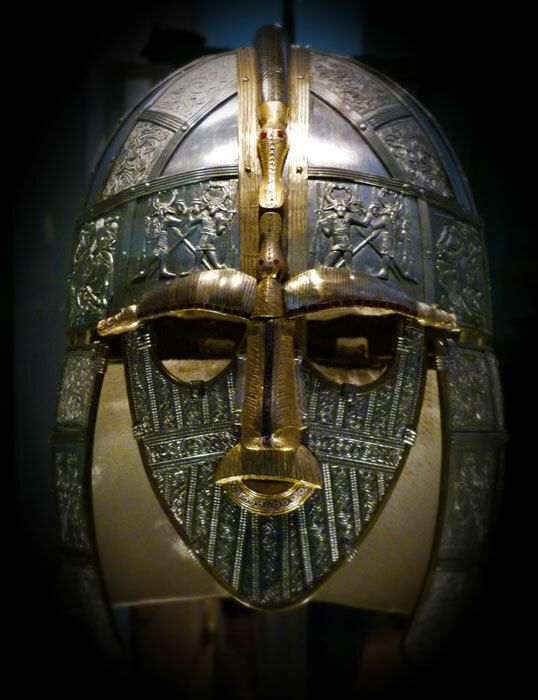 The Celtic Brits and the Anglo-Saxons continued to fight each other, and themselves, with the latter evolving kingdoms and administrative units that are still a part of the English landscape and local government today. Some names, such as Deiria and Bernicia (roughly equivalent to modern North Yorkshire and Northumberland), Lyndsey (Lincolnshire) and Rheged (Cumbria), have long disappeared from daily use. The Anglo-Saxon kingdoms morphed into seven main ones – Northumbria, Mercia, Kent, East Anglia, Essex, Sussex and Wessex (east, south and west Saxons respectively) – which vied with one another to be the most powerful in the land, their leaders aspiring to be bretwalda – chief ruler in Britain. 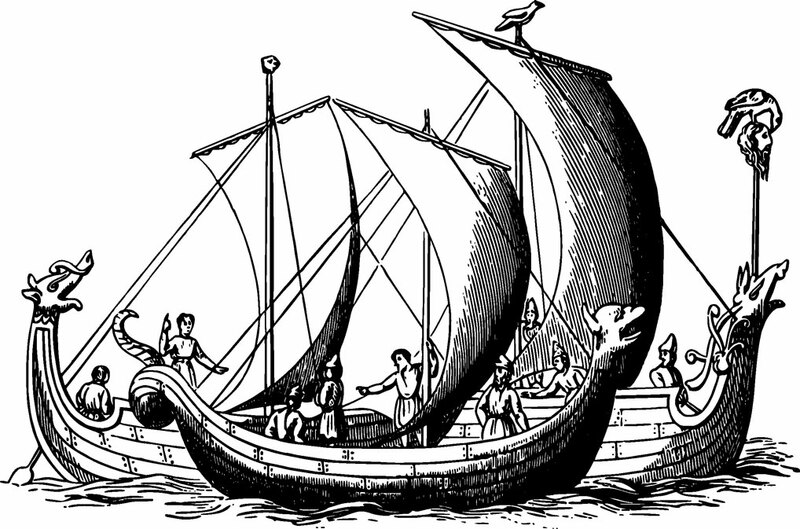 Then, in the late 8th century, came the Vikings. ← What did the Romans do for Britain?